Have you been looking for an app which let you hide your number and let you call from a number of your choice? Think of this as, you can call your friend from your phone but it will show any mobile number of your choice. Meet VoxOx and app which is available for iPhone, Android, Windows and for Mac too. This is not exactly a review of VoxOx app, but here I will share what VoxOx app can do for you, and how to hide your caller ID using VoxOx. VoxOx is a next level telephony app which works similar to Skype but with extra loaded features. Using Voxox app, you can make free calls, SMS to people in your list who are using Voxox app. 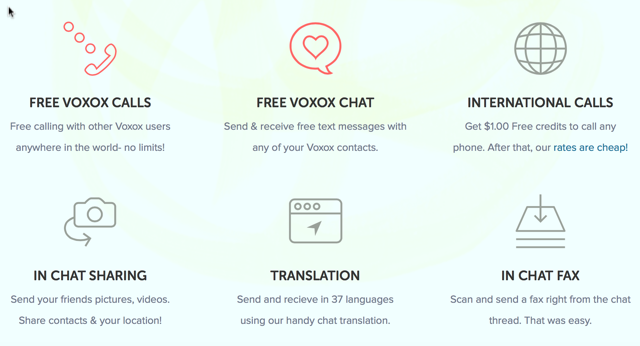 You can also use VoxOx to make calls to anyone in the world, which is chargeable. The voice quality is crisp (Depends upon your Wi-Fi or 3G network speed) and the application interface is smooth. When you install the app on your Android or iOS device, upon registration you will get a U.S based number which anyone can use to call you for free. (Similar to Google Voice). One reason which will compel you to install VoxOx right now is, it gives $1 free call credit to everyone which you can use to make calls to any country. You can check calling rates here. This is a great way to try the service for free and if you like, you can top-up to make more calls. iNums are free Voxox numbers that enable friends and family outside of the U.S. to call your Voxox number at their local rates. It works very similar to a calling card. You can also make free calls to U.S. based toll-free numbers, this is useful for people outside U.S., who are using services based in U.S. For example, a blogger like me can use it to call my Webhosting technical support using VoxOx for free. Now, let me show you; how you can use any number as your caller ID. 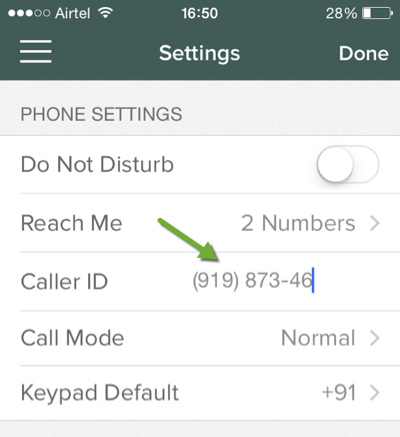 For this, I’m using Voxox App for iPhone and under the app, go to settings and under caller ID, add the number which you want to show while making calls. One way to test this setting is, you can add your personal mobile number and call yourself from Voxox app. To conclude, after trying the app I was bound to write down a post for the same. I recommend you to give a try and you will love the features of this app. More over, you can show any number to your friend when making calls to them via this app, this could be useful in many situation. Small businesses should also check out their Cloudphone feature, which could be a great solution for their business needs. To download the app head over to Voxox. Do you know any other similar service which is targeted for end consumer and for businesses? Let me know via comments. Don’t forget to share this with your friends on Facebook and Twitter.